What an outstanding FallFest! 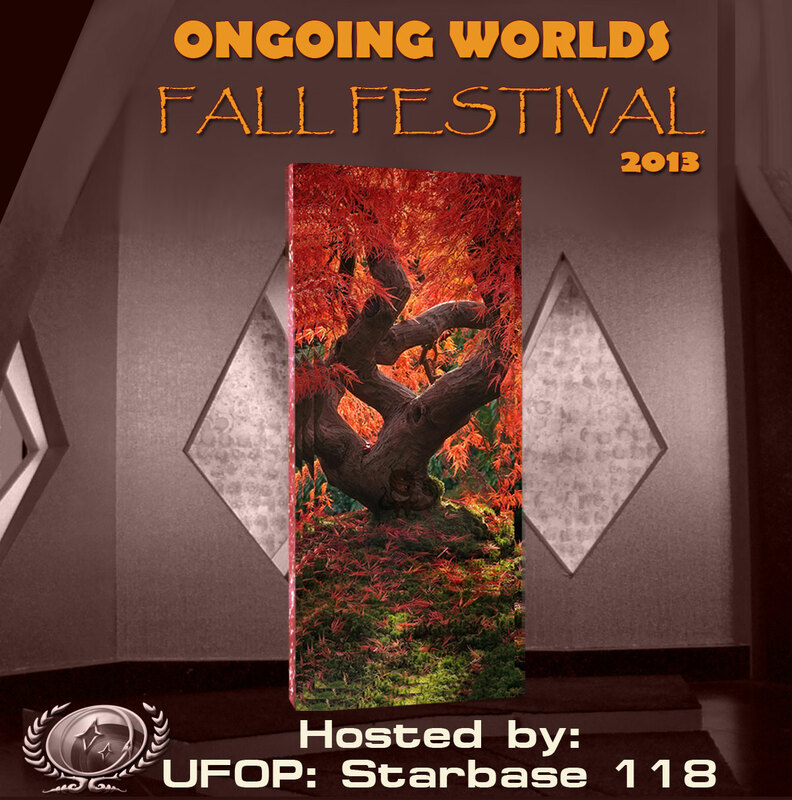 Indeed, Diego and the entire support team from UFOP: StarBase 118 put on an absolutely fantastic show. I actually counted 50 people in chat room #1 at one point during the first hour. Wow! Maybe next year we’ll need to expand to three events at once. Who knows? I’m sure there are others I’m still missing. Feel free to recognize them in the comments section below. And finally, I’d like to thank everyone for coming and participating. FallFest wouldn’t be anything if YOU didn’t show up. So thank you again. It gives me great pleasure to present the Ongoing Worlds Community Honor Medal to Diego Herrera for his service as chair of the 2013 Simming Fall Festival. Diego went above and beyond the call of duty to produce one of the greatest events in the history of simming and online role playing. The success of FallFest ’13 has been well documented in only a few short hours. Everyone who attended knows how absolutely fantastic it was. On behalf of the entire community, thank you again, Diego. 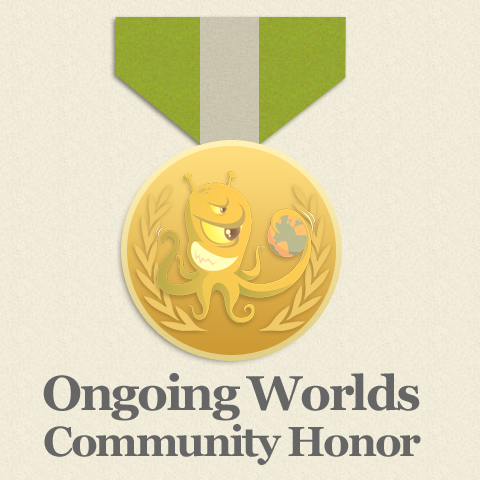 I’m exceedingly pleased to also present the Ongoing Worlds Community Honor Medal to Landon Wakeland for his service as DJ of the first three Simming Fall Festivals. Playing music, commentating on the happenings in each room, and adding a unique element to the event, Landon has truly innovated the concept of the online simming convention or festival. I know everyone’s already looking forward to hearing you again at SciWorld ’14. On behalf of simmers and online role players everywhere, thanks Landon. And that’s a wrap. See you all next year!